I had intended earlier to have a Giveaway after the first 100 school lunches posted but as the counts has surpassed 200 lunches already, this is longggg overdue! Here is a chance for a lucky winner to enjoy some online shopping! 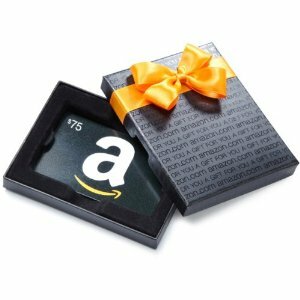 Amazon.com Gift Cards never expire, so you can buy something immediately or wait for that sale of a lifetime. This Giveaway is for Worldwide. Mandatory Entry: You must be a Public follower of my blog to enter this giveaway. Join my blog by clicking on the followers widget on the right side of this page and comment that you have done so. Leave a comment telling me if you already are. Here are additional ways to enter- (the more entries, the more chances of winning)! Follow me on Pinterest. Leave a comment indicating that you've done so. Blog about this giveaway. Leave a comment indicating that you've done so. Share about this giveaway on facebook. Leave another comment telling me you have done so. Add a link to BentoSchoolLunches to your blog roll. Leave a comment with the verifiable link, and if you already have BentoSchoolLunches on your blog, just leave a comment saying so. Entries will be accepted now through Sunday, 6/03/12 at 11:59pm EST. The winner will be selected at random using 'random.org', and announced on Monday morning (6/4/12). I will email the winner, who must contact me at no later than 6/5/12. Please make sure I have a way to contact you. If I can't locate an email, I will draw a new winner.Good Luck! Wonderful site full of super-fun ideas! I just "followed" you! You know I love your Blog but I couldn't click on the Follow Button. So I posted about your blog at my blog. Anyway, I wanted ask you if it is ok that I link your Blog to my follower list at my blog?! Thx. Have a nice week! I follow you in GFC. Thanks! Following you via gfc as Stacey Bic. Following! Love your blog! Fingers crossed! nice opinion.. thanks for sharing.. I'm already a follower of your blog! I am following your blog publically with Google Friend Connect. I followed you on Pinterst. My name there is spewhole. I have followed this blog. I'm already following on GFC as Danielle/See Shop Love! And you're on my blog roll, Mama! DO you want us to tweet daily to get it out there? Oooh, I just shared about your Rocket lunch on FB - will have to wait a bit to share about this giveaway - but I Follow you on Pinterest! I follow you on Pinterest now. Thanks. I just followed your blog. I followed all of your boards at Pinterest (Marie Hui). I follow you on Google Friend Connect as Jen @ A Heart Full of Love.